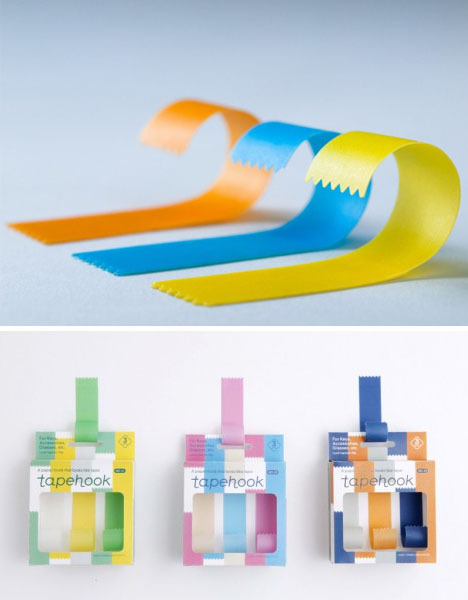 Scotch Tape and Post-It Notes used adhesives to revolutionize everyday homes and offices – these ‘Tapehooks’ have tough competition, but are at least a compelling conceptual addition to the sticky-solution collection. 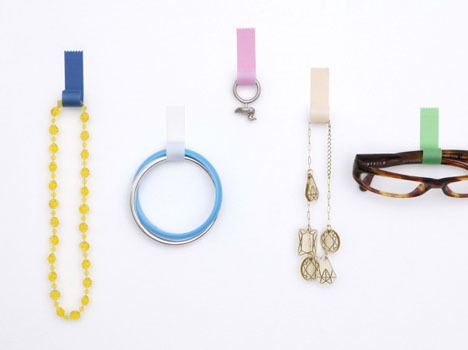 An on-the-side design idea from Torafu architects, the name says it all – take tape, turn it into a hook, and press it to the wall to hold keys, bracelets, rings, watches, odds and ends. … but unfortunately they have to be rigid, thus separately packaged and pre-stiffened. What would make this really fly off the shelves? 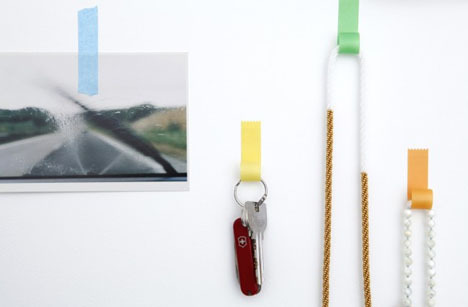 Some self-hardening mechanism, allowing you to shape then wait for the weight-carrying capacity to kick in. 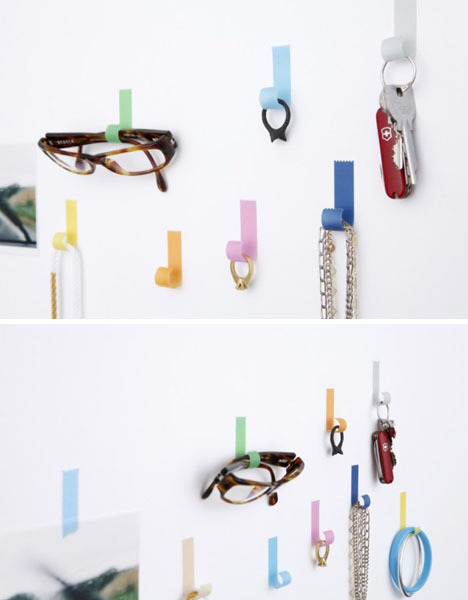 Still, could be fun to set these up with similarly-colorful tapes to confuse a visitor into believing you have found a new miraculously-strong tape variety.